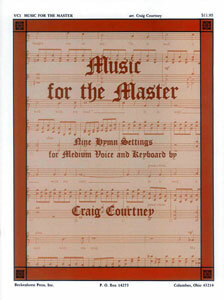 This collection of nine hymn settings for medium voice and keyboard contains some of the church's best loved hymns. 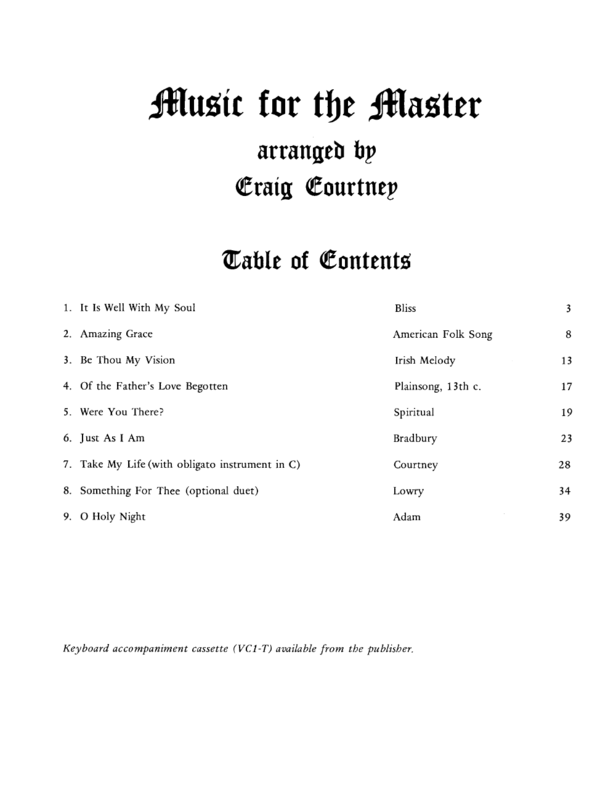 Tastefully arranged by Craig Courtney, the accompaniments are well within the capabilities of most church musicians and will be a pleasure to be heard by the congregation as well as performed by soloist and accompanists. Contents include: Amazing Grace; Be Thou My Vision; Just As I Am; O Holy Night; It Is Well With My Soul; Take My Life; Of the Father's Love Begotten; Were You There? and Something for Thee.